James Broderick Design Blog: First Week: Unreal 4! PBR! Other cool stuffs! So, it's my first week back at De Montfort and I'm feeling refreshed and rejuvenated after the holidays, I have grown more confident in my own art skills during the holidays and regained my strong urge to make cool things. I have made an increased effort to learn as much of the tools as I can so I can make things with a bit more speed and be able to go a bit more mental with the extra stuff. 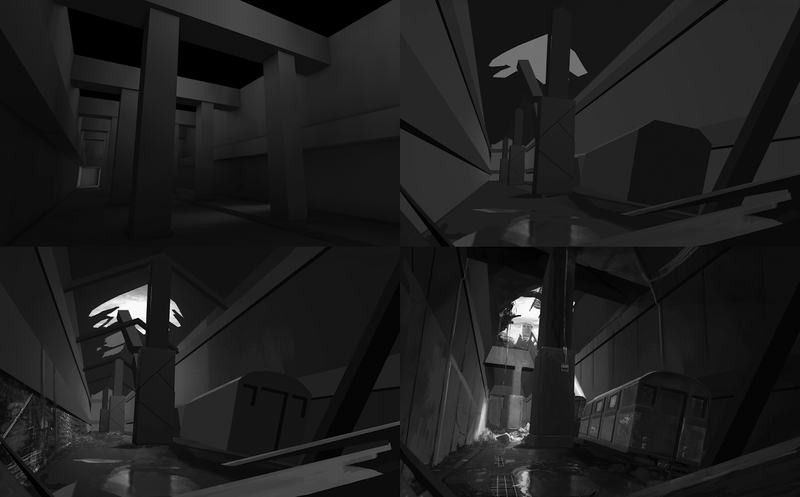 UDK has been a focus of my efforts of my summer project where I have been trying to create a abandoned sewer tunnel in engine, this has taught me how to use BSP, lighting, and volumes correctly as well as serve as an introduction to Kismet and Matinee. 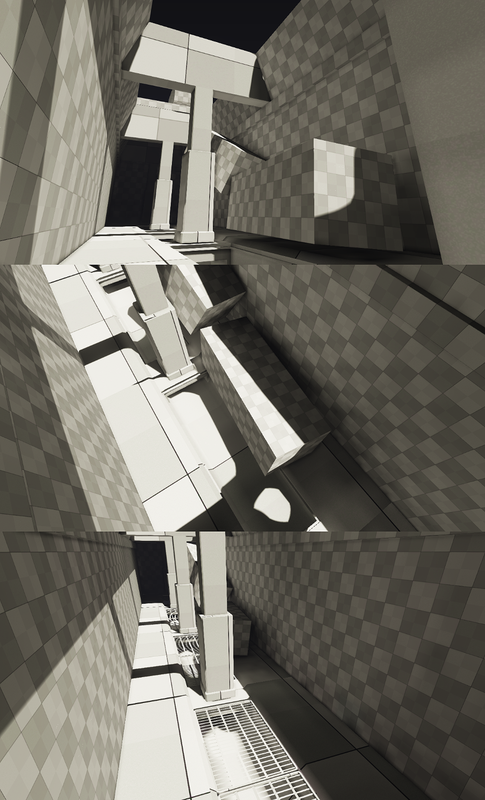 Static mesh pass after rearranging level according to concept, replacing BSP mesh with static meshes and converting the BSP to blocking volumes to keep level collision. 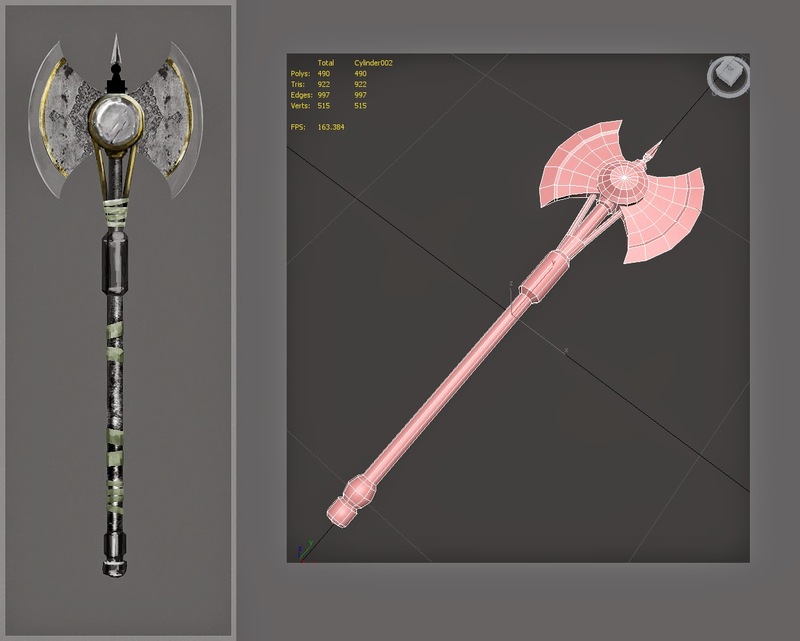 In our first lesson back we were given a group project to create 6 assets and bring them into Unreal 4, all must have been setup correctly to take advantage of Unreal 4's PBR rendering which replaces the classical diffuse/spec material system. (I have already got some handy links and advice from other students but I think quite a bit more research into PBR is needed) This was a handy lesson in many new things including how to function in a team with other artists and in general getting used to the new software which we will be using from now on. Which brings me onto my next topic: Unreal 4 is a really cool piece of software. it didn't take me long to get used to the navigation because a lot of it carries over from UDK but the flexibility offered by Unreal 4 is staggering and I can't wait to take full advantage of PBR rendering and the new material editor (which is a lot easier to use now) and the blueprint system which should allow for some interesting game design-y experiments. We were also set another group project that we will work on over the next few weeks where we have to recreate a scene from a film. This taken a bit of research to come up with suitable concepts as we had to find something as a group which had a great composition, colours and something that we could push in engine to bring it to life. Second iteration of film scene moodboard. We had a large pool of ideas and originally were settling on the 'Snow Garden' scene from the end of Kill Bill Volume 1 but after a presentation with Mike, Chris and Emma we realized that we should change focus an have begun looking for better options. 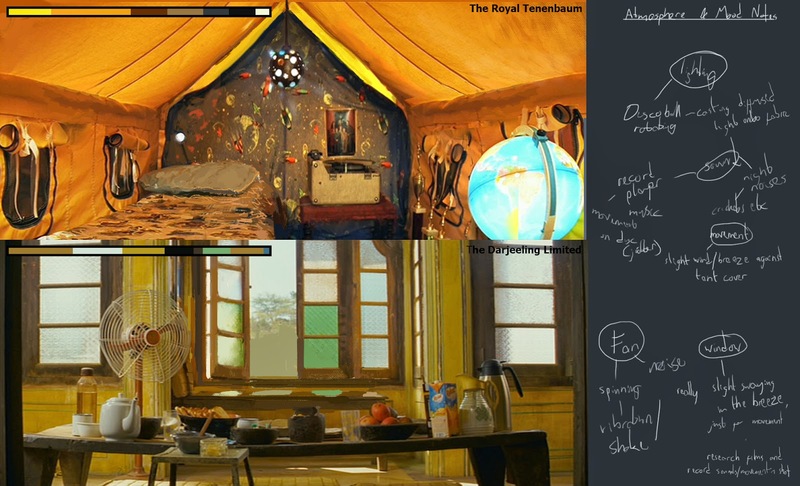 Current contenders for the scene are the tent scene from 'The Royal Tenenbaums' and the dinner scene from Speed Racer. 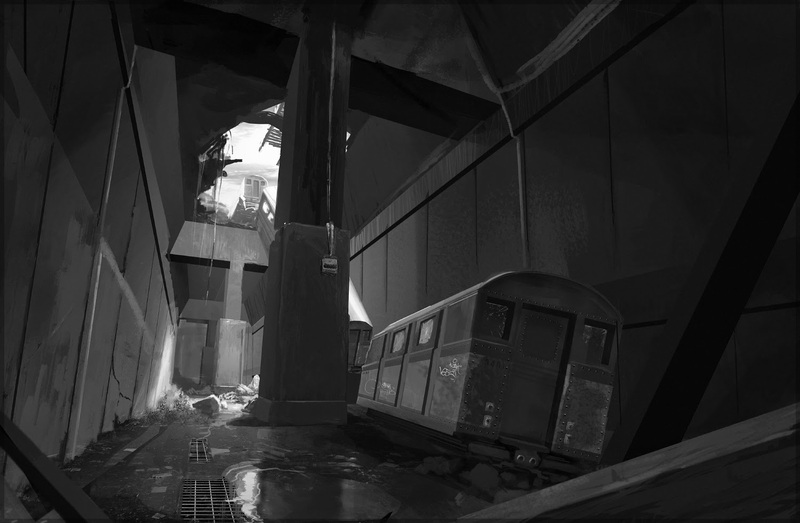 Paintovers of scenes to get rid of actors and analyse colour palette, also notes on movement, sound and mood within the scene which could be used to bring it life in unreal 4. I'm very excited for this project and I am filled with ambition right now so expect a lot of updates for it over the next few days where I should be doing blockmeshes, concepts and sculptures which you will see in my next art dump.